Orphaned Bears Find Home Together. And Then Bicker Like Siblings. 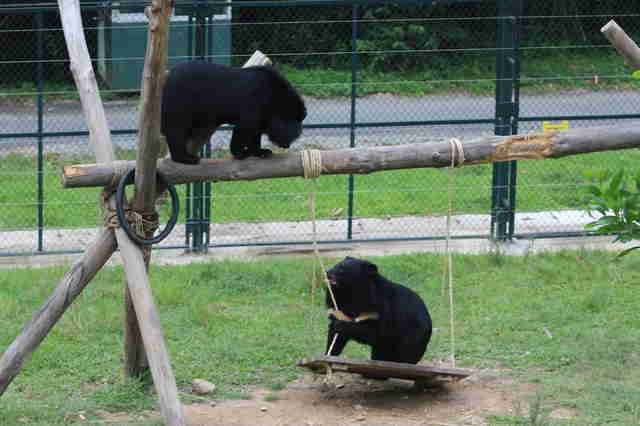 Mausi and Marmite are two of the most senior bears at Animals Asia's Vietnam Bear Rescue Center, so they've had plenty of time to work up a grudge. 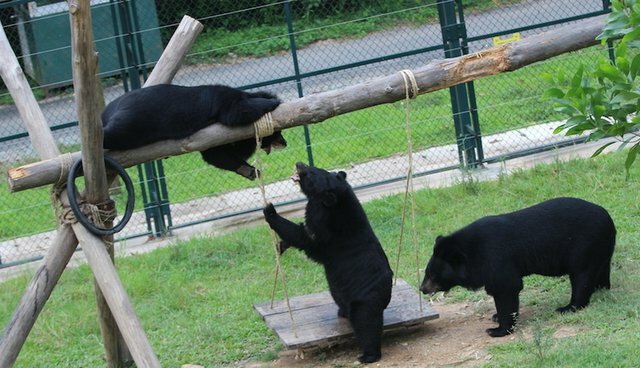 And this #MoonBearMonday, Mausi is set on getting her way. She's absolutely determined not to share the swing with her sister bear. However much she pleads. As one of the first bears taken in at the Vietnam sanctuary, Mausi has been around so long that she feels like she owns the place. And, as a 2 kilogram (approx. 4 pounds) cub, she was already Lady of the Manor. She had her run of the cub house, and no one could tell her no - or wanted to. 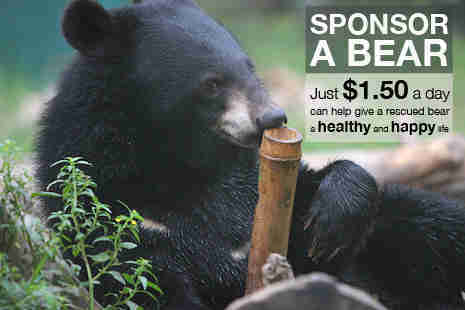 In the autumn of that first year came another miracle rescue‚ and another group of bears that narrowly avoided a lifetime of confinement at a bear bile farm. Marmite came as part of this group, and her and Mausi became fast friends. And occasional rivals. "They stayed in the same bear house, played with the same toys, fought like sisters. Mausi got bigger and bigger, but Marmite always acted like the big sister. And do you see that bear in the edge of the frame? That's Mischa, who's also part of their group. He got bossed around by both of them." It will be Marmite's turn on the swing one day. 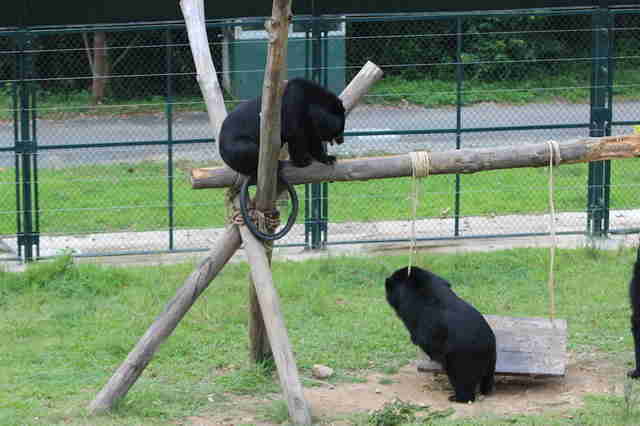 But on this #MoonBearMonday, it looks like Mausi is getting her way once again.